We’re just about to point in the year when we can expect a lot of rain. After rough winter months the warmer weather can be quite welcome however it does come with some perils when driving. Heavy rain and flash flooding can cause a lot of issues when driving. Therefore it’s best to be prepared and understand some best practices when driving in rainy conditions. Tires – By far one of the most important things on your vehicle when it comes to rainy driving. Bald tires, which are tires that have little to no tread left, will be unable to grip the road properly causing you to skid and lose traction more. Brakes – In addition to fresh tires, your brakes need to be working properly in order to be able to stop in poor driving conditions. Headlights & Tail Lights – If your headlights are out, you are going to struggle with visibility in dark, rainy conditions. If your tail lights are out, you leave yourself open to getting rear-ended by vehicles behind you. Windshield Wipers – If your wiper blades are basically bare from heavy usage you won’t be able to clear the water away from your windshield efficiently making it harder to see. New wiper blades drastically improve how much water is cleared from your windshield. Hydroplaning is one of the most common issues when driving in the rain. This is when you lose traction with the ground and start skidding due to the water. The most important thing you can do is likely opposite of what you think – do not slam on the brakes. Instead, you want to take your foot off of the accelerator and actually ease your steering wheel in the direction your car is hydroplaning. This sounds counterintuitive but it actually helps your tires realign with your current direction allowing them to gain traction. In rain, you should avoid using cruise control. Typically when drivers use cruise control, they stop paying full attention which is necessary in rainy situations. 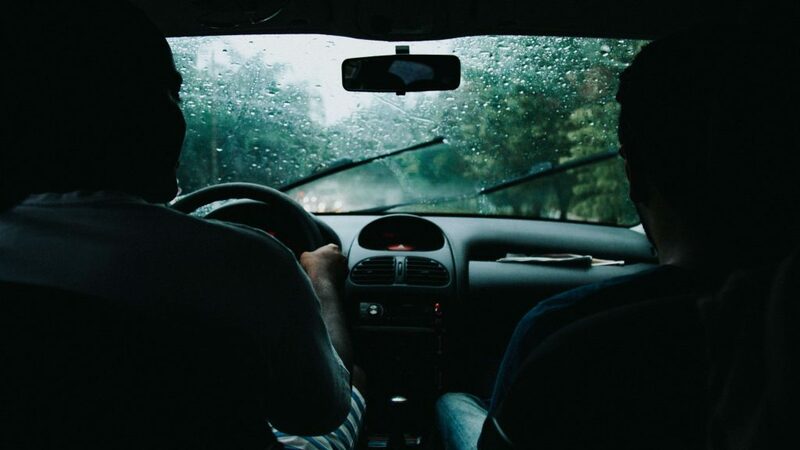 While driving in the rain, give yourself some extra space from the car in front of you. Braking is much more difficult in the rain and you want to avoid slamming on your brakes at all costs. By keeping more distance than usual, you allow yourself more reaction time to slow down if the car in front of you brakes. Finally, try and use the tire tracks left by cars in front of you to drive. While you still want to maintain a safe distance, using existing tire tracks will allow you some additional traction. The tires of the driver in front of you will help spread the water, leaving less water in between the road and your tires, making it easier for your tires to get traction with the road. Keep up to date with Wet Okole for all things automotive and to check out our awesome car seat covers. Visit our website or call us at 888-246-5653.